Next PostNext Sabadell - Centre de Formació d'Adults de la Creu de Barberà. It was possible to vote normally. 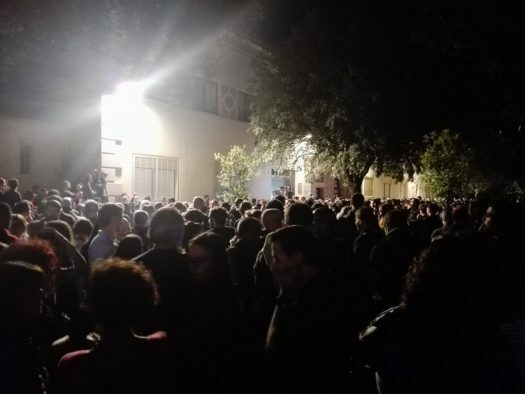 The centre ends up being the only polling station remaining open when all the others end up closed for fear to an attack by the Guardia Civil. Protecting the centre the night before. 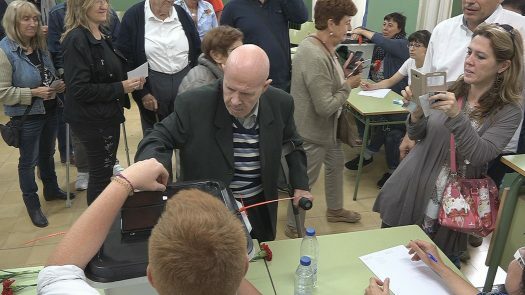 Voting (photo by Tramuntana TV). 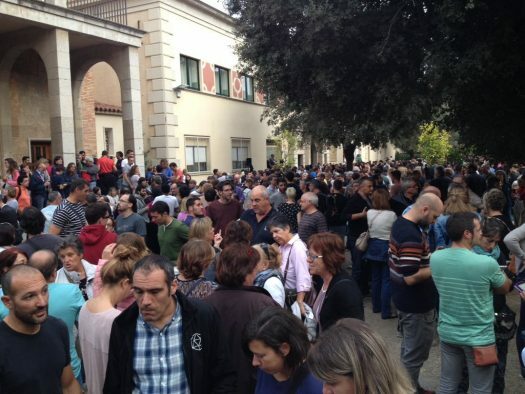 People happily display 'ballot papers' (photo by Tramuntana TV). There are many people gathered. People are still coming (photo by Francesc Cruanyes). 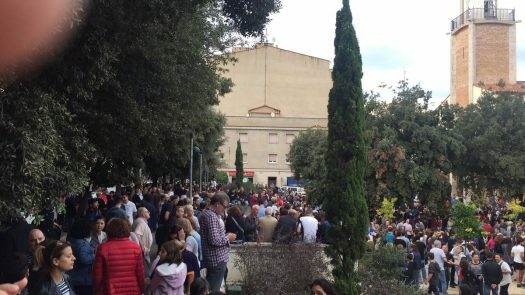 All the polling stations have been closed and people are gathering at the only one that is open: IES Ramon Muntaner (video by Albert Cadanet Vilà). 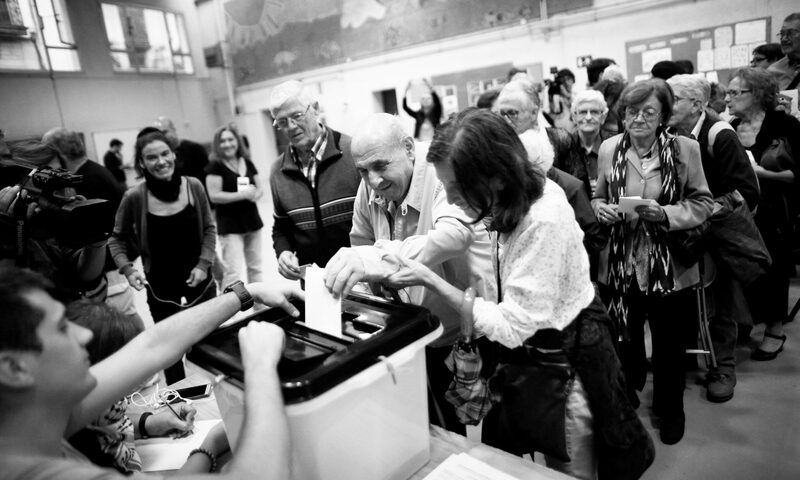 The voting is concentrated in one polling station: the IES Ramon Muntaner. The Catalan national anthem "Els Segadors." 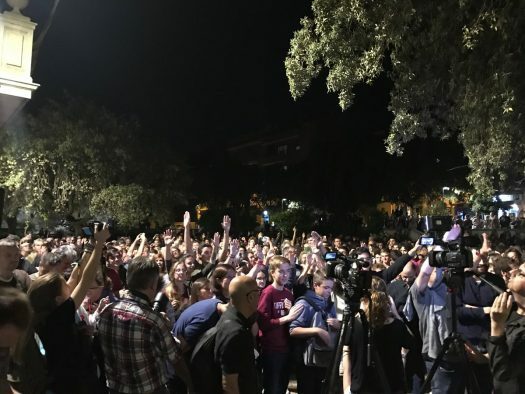 People sing the Catalan national anthem "Els Segadors" while they wait for the results of the vote count (video by Albert Cadanet Vilà). 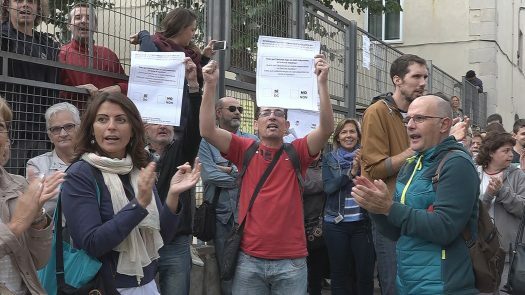 People sing the Caatalan protest song "L'Estaca" (video by Maria Pagès). 'Cassolade' - banging pots and pans as a protest. The crowd stays in place waiting for the vote count (photo by La Fisura). 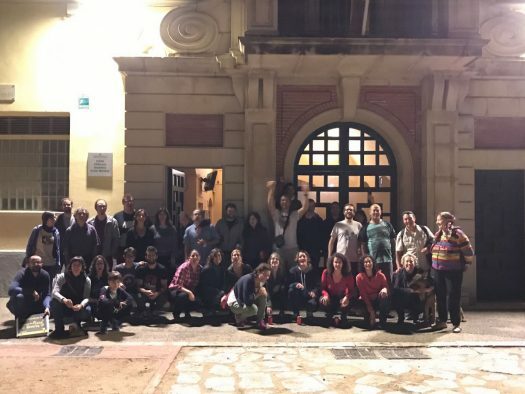 Mayor Marta Felip announces that all the polling stations have closed, without incident.